Castor oil is one of the best kept beauty secrets and those who do know about it can boast longer lashes, fuller eyebrows and lustrous hair! Castor oil is high in vitamin E and contains essential unsaturated fatty acids, like omega-6 that stimulate blood circulation on the surface of the skin, promoting hair growth. Just apply a little castor oil to the area you want to nourish before going to bed. Smooth through split hair ends, coat your lashes or dab on eyebrows and see and feel the difference. Use externally as a ‘castor oil’ pack by soaking a flannel in warm castor oil and apply to affected area. Cover with a plastic sheet, then cover with a towel and place a hot water bottle on top for 20 minutes. 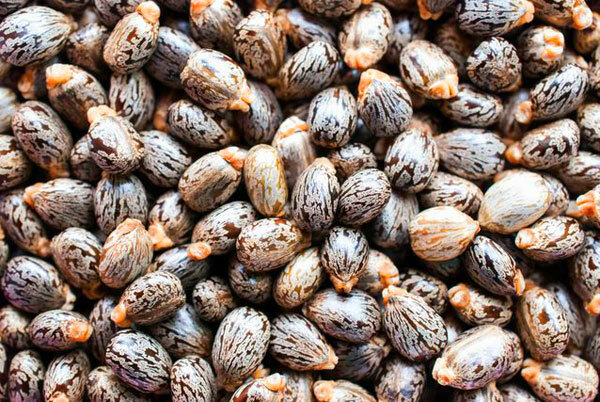 Castor Oil is made from organic cold-pressed castor seeds.